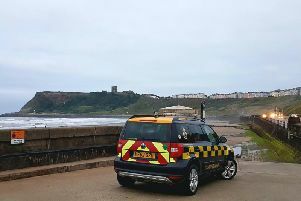 The MP for Scarborough and Whitby has welcomed the news that a contract to build masts to improve North Yorkshire’s mobile phone coverage has been awarded. MP Robert Goodwill said that good mobile signal in rural areas can be a 'life saver'. After a competitive tender, North Yorkshire County Council awarded the £1 million contract to Arqiva, a leading UK communications infrastructure company. Arqiva will now liaise with its mobile network operator customers to finalise the best locations for masts which are expected to be operational by March 2020. Funding for the work comes from the Government’s Local Growth Fund grant secured by the County Council from the York, North Yorkshire and East Riding Enterprise Partnership.